The 2014 US Army Chief of Staff Professional Reading List (PRL) was released in the Summer of 2014 and I was relieved in the extreme to see that there was only one novel on the list, Once an Eagle by Anton Myrer. The list is different than earlier lists because it is organized topically instead of by position as earlier lists were. I have read many of the books on the list already and decided to read the ones I have not and post my thoughts on the books on the list. This review is the next in that series. Most people that have heard of the Spanish-American War at the turn of the twentieth century and many have even heard of the Philippine War but few, even among military historians could describe the war fought there that brought the Philippines under the sovereignty of America. 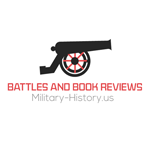 The Philippine War by Brian Linn McAllister is an attempt to remedy that lack of knowledge but likely it is only a book that academics will read despite being good, even great history. The book itself is 328 pages of text separated into 15 chapters in two parts covering conventional operations and the initial guerilla war. It includes over 70 pages of notes, a 16 page bibliography, and an index. The Philippine War represents campaign history at its best. It is essentially a campaign history of the initial American occupation and pacification of the Philippine Archipelago. It begins with the circumstances surrounding America’s involvement in investing the Philippines as what was essentially a sideshow in the war against Spain. It then goes on to detail the Tar Baby nature of the war that followed in that more troops were continually needed and how the war kept widening beyond the main islands until the US had occupied the entire country. It is interesting that the US initially was reluctant to step into the power vacuum left by the defeat of Spain but eventually felt they had no choice. Whether that choice was the right one is not debated but the results of that decision are detailed both for the Filipinos themselves and for the American occupiers. The campaign in the wider archipelago and the guerilla campaign is covered in some detail which I found quite refreshing as it is usually only briefly covered and then just to say that the Americans brutally repressed native resistance. Indeed, fully half the book is devoted to the conduct of the guerrilla war. What it does is paint a picture of a war that was waged very differently depending on who the local American commander was and there was very little the main commander in manila could do because of the difficulty of inter-island communication, indeed it was often difficult for different posts on the same island to stay in contact even though they were only a few miles apart. This situation left very junior officers in charge of some areas to essentially wage war as they see fit and central command only really cared about results. What I found extremely refreshing is Dr. McAllister’s explicit rejection of the current practice of judging historical acts by modern morals. He says, and I agree, that it is both silly and foolish to judge historical acts by anything other than the morals prevailing at the time. I certainly agree with him on this. He discusses at length the methods whereby the American command regulated the conduct of troops in accordance with the then prevailing norms of military and international Law of War. His discussion of the resurrection of General Order 100 from 1863 is especially enlightening. If I have anything to complain in this volume it would only be the lack of adequate maps, especially in the first part of the book but generally throughout. It was frustrating at times to not have a map to refer to, particularly when he is describing the actions in and around Manila in the opening months of the campaign. A few more maps both large and small scale would have been helpful in placing the actions described. This work will no doubt be the definitive history of the Philippine War. I highly recommend this exceptionally well-written account of one of America’s forgotten wars.